Tal joined Lightspeed in 2016 and focuses on the firm’s investment efforts in Israel. Before joining Lightspeed, Tal spent 4 years at Sequoia Capital as a partner in Israel and led investments in consumer marketplaces, SaaS  and Fintech companies. Prior to Sequoia, Tal worked as a strategy consultant for the Boston Consulting Group, primarily focused on financial services. 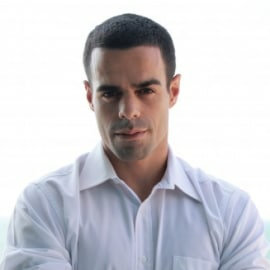 He was also the co-founder and chief product officer of Worldclass.io, an e-learning SaaS platform and served as a commander  in an elite unit of the Israeli Defence Forces. Tal holds a B.Sc in Bio-Medical Engineering from Tel-Aviv University and an MBA from Stanford Graduate School of Business. He is also a long time Mixed Martial Arts (MMA) and Brazilian Jiu-Jitsu (BJJ) practitioner and an avid kiteboarder.